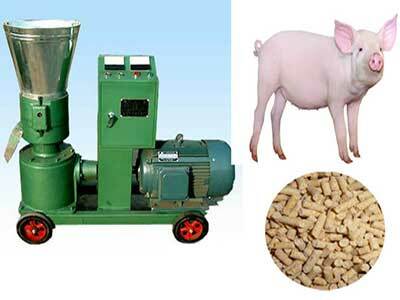 In the present society, the factors affecting the quality of animal feed pellet mill are diverse. Only by fully recognizing these factors and constantly improving the processing quality of animal pellet feed, animal feed processing enterprises can produce high-quality and efficient feed products, so that they will remain invincible in the industry competition. What are the advantages of feed pellet mill? The animal feed pellet mill is simple in structure, wide in adaptability, strong in adaptability, small in size and low in noise. The water content of the pellet feed is basically the water content of the raw material, which is more favorable for storage. The animal feed pellets can obtain higher economic benefits than the mixed powder feed. Feed pellet mill adopts dry processing, feed pellets produced have high hardness, smooth surface and ripening internal, can improve digestion and absorption of nutrients. The feed pellet forming process can make denaturation of trypsin resistance factor, which can reduce the bad influence on digestion, kill various kinds of parasitic eggs and other pathogenic microorganisms, and reduce various kinds of worms. Small feed pellet mill is a type of machine which is inspected and selected by the most customers in a large number of equipment. Many users intend to produce their own feed for breeding or sale, and control the cost of feed pellets to make greater profits. And the small feed pellet mill can be described as a large number of advantages in the production and processing of cattle and sheep feed. The feed pellets processed are not only convenient to feed, but also have high nutritional value. In addition, there is a prominent advantage in the storage of this feed. Small feed pellet mill is one kind of main devices in our company, a small pellet machine is mainly used in rural breeding specialized households and small farms. Production technology of microbial ecological bacteria fermented straw feed. Various straw feed formulations for different growth periods and different nutritional components of pigs, cattle, sheep, chickens, rabbits and fish. Use of compound microorganism for direct use of pig, cattle, sheep, chicken, rabbit, fish and other livestock and poultry. Deodorization, method and technology of livestock and poultry farm. Our company specializes in producing small feed pellet mill, wood sawdust pellet mill, straw pellet mill and other feed pellet processing equipment. If you want to know more, please contact us. We will provide you with more information and the most satisfactory service for you. Welcome friends from all walks of life to visit and choose.